Mr Joseph Toluhi, the Northwest Zonal Director of the National Housing Programme (NHP) said it project in Jigawa had reached 80 per cent completion. Toluhi, who stated this after inspecting the project in Dutse on Sunday, said the project involved 78 housing units. He said the units comprised one bedroom, two bedroom semi-detached bungalows and three bedroom semi-detached bungalows. The director pointed out that the projects, which commenced in November 2016, were being handled by 15 contractors. “By the grace of God, the project will be completed within the stipulated time. “The project has reached roofing stage and is about 80 per cent completed. The contractors are doing an excellent job because they are being closely supervised. “This is because the government will not accept any job that is of poor quality or that failed to meet specifications,” Toluhin said. Also commenting, the Controller of Housing in the state, Alhaji Uba Hassan, explained that the houses ‎were not only for civil servants, but for all Nigerians. 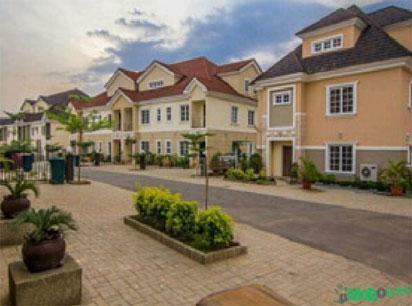 “They are for all Nigerians because everyone has the right to housing or shelter,” he said. Hassan said that modalities for obtaining the houses would be made public soon. “As soon as the houses are completed, we will make the criteria and modalities for obtaining them available,” he said. ‎Hassan disclosed that about 500 people were employed in the state through the programme. “About 500 people, including professionals, labourers and artisans have been gainfully employed through this programme. “Food vendors, sachet water and soft drink sellers as well as commercial motorcyclists are making money out of this project. “Others are being employed by some contractors as security men while cart operators are not left behind. They are sometimes engaged to transport sharp sand and other goods to the site. “So there has been cash flow. I mean money is changing hands among all categories of people and everybody is happy about it,” the controller said. The post FG’s housing project in Jigawa 80% completed – Official appeared first on Vanguard News.